Just a reminder that Tampa BayCycle has two fun events Thursday to kick off May as Bike Month. Bike into downtown Tampa for Mayor Pam Iorio's bike month proclamation at 10 AM and then the Florida Museum of Photographic Arts has a bicycle photo show opening from 5-7 PM at 200 North Tampa Street. 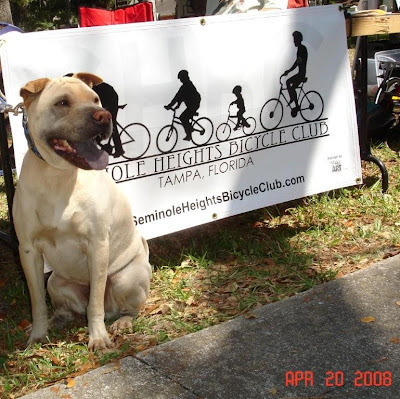 Also, the Seminole Heights Bicycle Club continues its regular Saturday morning ride schedule with the Family 5-Mile ride this Saturday at 9 AM at 1203 East Powhatan Avenue; the 10-Mile Urban Ride from the Garden Center at 8:30 AM on May 10 and the 22-Mile Davis Islands Ride from the Garden Center at 8 AM on May 17. Also on May 17, bicyclists are invited to the SHBC's Movie Night -- Watch Breaking Away at the Bike-In Theater. Pot-luck dinner at 8 PM and movie at 9 PM. Contact Alan Snel at alansnel@yahoo.com for more information about the Bike-In Theater. Reuters News Service includes SWFBUD in a story about the National Bike Summit in Washington, DC last month. 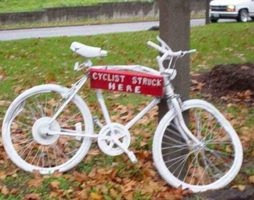 A Ghost Bike is a white-painted bike that is placed at a location where a cyclist has been hit. According to an old post on bello velo, this photo depicts the first Ghost Bike, memorializing an accident on Holly Hills Boulevard in St. Louis, Missouri. It was created by Patrick Van Der Tuin who saw a cyclist hit by a car. A few days later, he and his friends locked several bikes at locations where he knew cars had collided with cyclists. Here's a recent story on a ghost bike. RALEIGH - Nancy Antoine Leidy was an avid bicyclist for most of her life, so it seems appropriate that a bike now marks the spot where she was struck last week by a drunken driver. The problem is, no one knows how it got there. Just before 11 a.m. April 23, Leidy, 60, was riding north on Nazareth Street, off Western Boulevard near N.C. State University, when she was struck by a Ford F-150 pickup driven by Brian Anthony Reid. She died hours later. Reid, who turned 21 that day, was charged with misdemeanor death by motor vehicle, failure to control speed and driving while intoxicated. He blew a 0.12 about noon on the day of the crash, more than the state's legal limit of 0.08. Over the weekend, the old bike, painted white, appeared roadside on Nazareth Street, near a spray-painted orange outline of where Leidy's bike lay after the accident. A placard on the bike reads, "A cyclist was killed here." The group Ghostbikes began about three years ago to affix old bikes to sites near where bicyclists had either been hit or killed. According to the Web site Ghostbikes.org, the bicycle memorials are supposed to remind bikers and drivers to share the road. "Reckless riding and driving kills," the Web site states. The News & Observer was unable to contact a member of Ghostbikes on Tuesday. Ghost bikes have found homes along streets in Oregon, New York and Pennsylvania. Leidy's husband, Ross, said she had recently gotten back into riding after shin splints took the joy out of running. 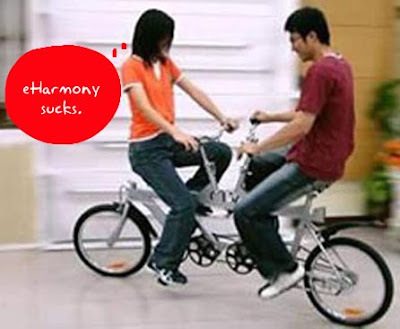 It was also something the two enjoyed together. The couple had recently returned to Raleigh after spending several weeks with their children in Texas. On their way back to North Carolina, the two stopped in Alabama, where they pulled the bikes they had taken with them off the back of their PT Cruiser and enjoyed several miles on an open trail. On April 20, the two maneuvered together the same path Nancy Leidy was on the day she was hit. Mary-Stewart Latta's photos from the Tour de Georgia were terrific and here are just a few. Mary-Stewart participated in the inaugural bicycle ride of the Seminole Heights Bicycle Club. Here's a guy you may have heard of: Tyler Hamilton. Mary-Stewart at the finish line. Yesterday I was strolling in the neighborhood when I saw a hawk hanging out on a light utility pole a block or two north of Hillsborough Avenue. I noticed a certain crtter that was hanging out with the hawk. Check out the squirrel tail. Looks like squirrel stew to me. It's not the 7-mile loop at the scenic pine-and-palmetto combo setting of Flatwoods county park but Al Lopez Park in the city of Tampa does provide a two-mile loop that is decent for being in the middle of the urban asphalt jungleland of Tampa. I was cycling home from the Gandy Bridge this morning and came through Himes Avenue and took a couple of laps at Al Lopez. My good friend Elaine sent a fun email that included this watermelon art. 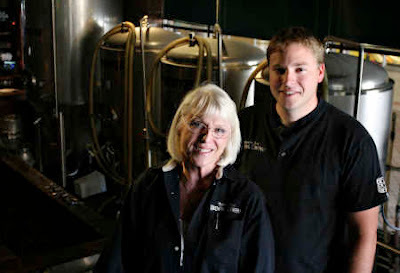 What goes well with bicycling but delicious, quality microbrewed craft beer -- so you might find it interesting that the Tampa Bay Brewing Company is looking to expand to as many as five locations in the Tampa Bay and Sarasota markets. By the way, you might recognize the reporter's name in the by-line. Today it was on the road with my bicycle pal Mike Limerick for a 100-mile ride to the hills of San Antonio and back. Here's Mike on Curley Road around Mile 74 as we head south from the San Antonio area. We're at Mile 98 while biking on Rowlett Park Drive, heading home to Seminole Heights. Poor little fella -- we were biking on Morris Bridge Road when we found this lifeless gator hanging in the bike lane. Life in the bullpen in the minor leagues. Looks like business is slow in the new rightfield bleachers/seating area. Here's a Hillsborough County survey about bicycling. RALEIGH - After shin splints sidelined her running hobby, Nancy Leidy turned to biking. It was something she and her husband, Ross, enjoyed together. So when she called Ross on Wednesday morning with plans to bike a 10-mile path the two maneuvered together Sunday, he simply reminded her of a good parking place and then wished her well. Nancy Leidy, 60, was half-way through the trip when police say an N.C. State student hit her with his pickup truck about 11 a.m. She died just before 8 p.m. Wednesday. Brian Anthony Reid, of 302 S. Sixty Court in Graham, had turned 21 on Wednesday. The arresting officer said he smelled of alcohol, had glossy eyes and slurred speech at the scene. Records indicate Reid had a blood-alcohol content of 0.12. A level of 0.08 is considered impaired. He was charged after the accident with one count each of felony serious injury by vehicle, driving while impaired and failure to reduce speed. Those could change because of Leidy's death, Raleigh police spokesman Jim Sughrue said late Wednesday night. According to the police report, Leidy was riding on the right side of the road when she was hit. She was thrown 58 feet by the impact. According to the police report, she was wearing a helmet. Leidy was taken to Wake-Med Raleigh Campus, where she died, officials said Wed-nesday night. Reid was not injured. He was released from Wake County jail Wednesday after posting a $10,000 secured bond and signing a promise to appear in court next month to answer the DWI charge. He will appear in court today on other charges. Ross Leidy said his wife took on many tasks when she stopped working in 1991. She worked for free as an entomology professor at N.C. State University. She ran a local support group for wives of soldiers stationed overseas during Operation Desert Storm. She also hunted for antiques and racked up ribbons for her jellies at the State Fair. And she biked. "She was the kind of woman that when she got into something, she really got into it," he said. Wednesday night, as Leidy mourned his wife, he also empathized with the young man charged with hitting her. "I feel bad for the guy," Leidy said. "I was young once, and I remember getting [drunk] before. I don't think it was at 11 a.m., though." News researcher Becky Ogburn contributed to this report. Look what showed up -- a newly=paved bike lane on Fowler Avenue in front of the USF campus. It was finally paved after several months of rocky surface. 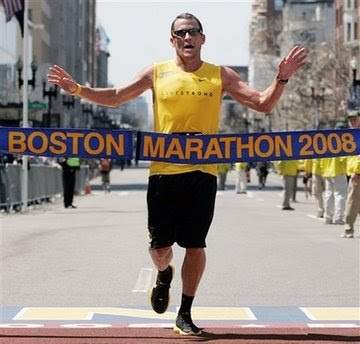 Lance is doing quite a bit of running these days, as in today -- when he finished the Boston Marathon. On Sunday, the Seminole Heights Bicycle Club greeted dozens of visitors at our table at the Earth Day fair at Lowry Park, sponsored by the local Sierra Club chapter. Ken did a great job getting the table and a half-dozen other members came by to talk bicycles. That's Sherman, club member Florence's canine pal, hanging with the SHBC banner. Seems like there's a wave of cool environmental green events washing over the Tampa Bay area. Last week, I represented SWFBUD at the Going Green Expo at the USF Sundome and this afternoon I put up the Seminole Heights Bicycle Club banner at the ECO.lution event at Gaslight Park in downtown Tampa. It was put on by the Urban Charrette, a group of architects, planners and livability folks hoping to get people in action to make Tampa a better place to live, walk, bike and work. Here, SHBC member Yvon Limerick shows off our new SHBC banner donated by the The Sign Art Group on Florida Avenue in SH. On Sunday, come visit the SHBC table at the Earth Day event at the Lowry Park corner at North Boulevard and Sligh Avenue. It's 11 AM to 4 PM. No photo shop here. This is an actual shot of your typical Tampa bicyclist working the streets this morning. Saw this fella on Sligh Avenue near the I-275 ramp. What's interesting is that he's biking in the road and not on the sidewalk, so he's avoiding the crosswalk and potentially getting broadsided by that little ol' truck coming down the I-275 exit ramp. On behalf of the Seminole Heights Bicycle Club, I want to thank Chrysanna Hanes of The Sign Art Group at 6308 North Florida Avenue for donating our first bike club banner and also a terrific lawn sign. It's been amazingly heartening for the bike club to receive donations since we began two months ago. Tiffany at Starbucks gave us free water and coffee on our inaugural ride, and Mike at Merino's Deli and Chuck at the local Publix gave us sandwich slices, bananas and water for our first urban ride into downtown Tampa. Now we have a sign courtesy of the The Sign Art Group to display Saturday and Sunday during events. Look for the sign at the Garden Center lawn on Central Avenue at 8 AM Saturday when Mike Limerick leads our first 22-mile ride to Davis Islands and back. Then I plan to use the signs at a "ECO.lution" event at Gaslight Park in downtown Tampa Saturday afternoon for a Green Week event organized by the Urban Charrette. And on Sunday, look for the SHBC club signs at an Earth Day event at Lowry Park at Sligh and North Boulevards from 11 AM to 4 PM. The SHBC is very appreciative for the donations from our Seminole Heights businesses. Nick Griffiths is a bike commuter who pedals along Bruce B. Downs Blvd. to his job at Moffitt Cancer Center and he's one of the most conscientious and safe cyclists I know. That's why when Nick contacts me about yahoo-drivers pulling stunts that emperil his safety, I take Nick's words seriously. "Yesterday when I was riding home from Moffitt with my friend Becky, we had an incident with a vehicle at BB Downs and Highwoods Preserve Pkwy. We were crossing BB Downs heading west. There is a right hand turn only lane, so we avoid that lane and wait with the traffic to cross at the light. As we started to cross, a black SUV gunned his motor and sped across from the right hand turn lane. To avoid hitting us (which the vehicle almost did) the driver drove through the pedestrian cross walk before aggressively pulling back in front of us, almost striking the curb and other vehicles. We chased after the SUV and found it parked in Bennigan’s parking lot. And get this…it had a fireman’s decal on the back window and had a fireman’s tag. We couldn’t tell if the driver was still in the vehicle as all the windows were darkly tinted. We took down the tag number and called the police. We were told that unless we were struck they could take no action and they couldn’t issue a ticket for the illegal move without a policeman witnessing the infraction. Their advice was to call the fire department and give them the tag number. "I was just angry about the incident, but Becky was still shaken today recalling how reckless and close the driver came by us." This morning I pedaled through Flatwoods park during a 100-miler on this incredibly beautiful day. Unfortunately, a park ranger told me a woman crashed on the Flatwoods loop and suffered a concussion and had to be airlifted to a hospital. A half-dozen emergency vehicles raced along the Flatwoods loop to aid the woman, who crashed near the water station at the start of the 7-mile loop. Hey, look at this -- my partner in bicycle crime and fellow Seminole Heights Bicycle Clubber Jack Sweeney got some sweet lovin' from the St. Petersburg Times in a Q and A. Some good stuff here. The Ghost Rider Is No Ghost On The Roads of Tampa! My name is Alan Snel and I am director of an alliance of seven Tampa Bay area retail bicycle stores committed to growing bicycling as a healthy lifestyle and effective mode of transportation in Hillsborough County. Our group is called SWFBUD for South West Florida Bicycle United Dealers and I am writing now to urge you to support earmarking $12 million of the $40 million in community investment tax money toward a trail connector that would link the Upper Tampa Bay Trail with the Suncoast Trail. The planning for this connector trail has been in the works for a long time and it is vital now to complete this connector to link the Upper Tampa Bay Trail and the Suncoast Trail. SWFBUD's seven stores represent thousands of bicyclists and customers, many of whom find refuge on local trails to bike. This connector trail would make this continuous trail the longest in the state of Florida and provide an important amenity for not only bicyclists, but all other outdoors enthusiasts such as runners, walkers, roller-bladers and people who enjoy being outside. It's important to note that of the $12 million, $7 million will be reimbursed to the county by the state DOT. SWFBUD gets a nice mention in a story in the Bicycle Retailer and Industry News, a trade publication that covers the bicycle industry. It was in the Finger Lakes region of central New York state where I first began my long-distance cycling. I biked thousands of miles between the 45-mile-long north-south lakes that hosted small cities that to this day appear stuck in a time warp. I went to college at Hobart, a small libert arts school in Geneva, NY on the northern end of Seneca Lake. So I was happy to hear my college has a cool bike loan program, like many springing up in towns across the country. Why I don't leave home without my helmet. I missed today's inaugural River Ride held by the Seminole Heights Bicycle Club because I was representing SWFBUD at the Going Green Expo at the USF Sundome. But I can always rely on SHBC photographer/videographer Florence Marsan to capture the action. 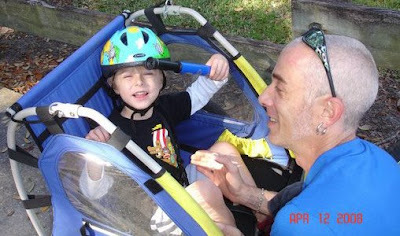 This looks like Jack Sweeney and son Gray at the SHBC bike ride. Here's a driver who ran a red light and killed a bicyclist in Martin County, FL. truck while trying to cross U.S. 1.
totally devoted to cycling. It was his passion." 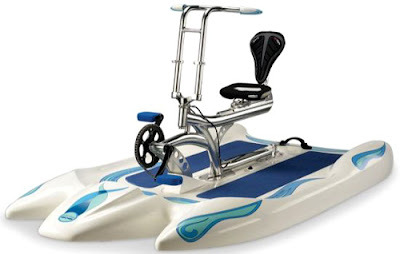 and safety for people walking and riding. was keenly aware of the dangers. committee when Roseman stepped down to care for his father. at the intersection of U.S. 1 and Seabranch Boulevard. truck driven by Paul Kleinatland, 27, of Stuart. Roseman, but no details have been decided. in north Florida, Boland said. "He was a good, good person," she said. A funny thing about the boar-hitting-the-bicyclist-at-Flatwoods story I posted earlier today. I got a pleasant email from bicyclist Kristie Concepcion, who said it was her husband who got struck by the wild pig at the Flatwoods park loop a few weeks ago. I'll let Kristie fill you in . . .
"Short version of the story...we were 4 miles into our ride at Flatwoods on Saturday, March 29th and a huge black hog ran out of one of the fire roads right in front of Joel and I as we were cruising at about 23 mph. Joel hit the hog and flipped. There was no way to avoid it as it happened so fast. Since we were riding in a pace line, I flipped over Joel. "See the pictures for the results...thankfully no broken bones, just a bunch of road rash, scrapes, and bruises. And one useless bike and 2 cracked helmets. My bike survived with just a minor scratch on the seat, and the bike computer. As a sad side note, the bike that cracked was only a month old." Kristie also sent a few photos to illustrate her tale of the bicyclist and the boar. Jeff Houck sends in this tandem item. If you bike around Flatwoods county park, inevitably you'll run into a wild boar or two. For one bicyclist, it meant literally running into a boar recently. Mike Limerick, my fellow Seminole Heights Bicycle Club pal, tells me the story he heard at a local bike shop that a cyclist brought in a cracked frame thanks to a literal collision with a boar along the loop at Flatwoods. Unfortunately for this boar this morning on Morris Bridge Road, this oinker had a collision with something bigger than a bicycle -- a moving vehicle of the two-ton variety and this time he was the one who lost. The Hillsborough River is a meanderer, twisting and turning all over the place north and eastof Tampa. My bread-and-butter Flatwoods park ride crosses the Hillsborough River no less than three times when I head from Seminole Heights to Flatwoods, 16 miles away. Here are your three crossings. Lake Roberta is a lovely refuge in the middle of the grit of the city. After my daily ride, I stopped off at Roberta and here is your bird of the day. White ibis, you da bird! Here's a powerful story from Seattle about a man fighting to recover from a catastrophic bicycle accident. 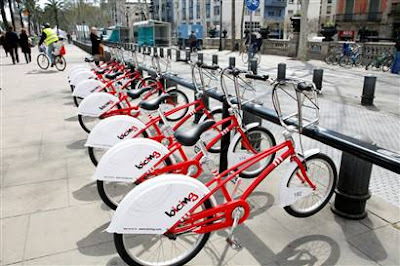 My friend and former Tampa Tribune colleague Dave Simanoff sends me this cool MSNBC story about the bike-sharing concept in Europe coming to Washington, DC. I'm sorry I didn't get the chance to check out Monday night's Tampa Bicycle Co-op debut. But all-around Tampa bike commuter, Seminole Heights Bicycle Club member and famed "Ghost Rider" Jack Sweeney was there to capture the coverage for www.bikecommuters.com. I was happy to hear from Jack that there was a variety of bicyclists and mechanics there, including fellow members of the Seminole Heights Bicycle Club. The IHOP on US 301 in Dade City is getting pumped for the Tour. This morning I saw some protesting Verizon workers during my bike ride -- they said they want a chance to help customers but they're not getting that chance from management. In May 1997, the Police Unity Tour (PUT) was organized in an effort to bring about public awareness of law enforcement officers that have died in the line of duty and to honor their sacrifices. This mission is primarily accomplished through an annual bicycle trek from various points across the United States to the Memorial, located in Washington , D.C. On May 10-12, 2008, Chapter VIII members will pedal from Va Beach, VA to Wash DC approximately 250 miles. WIN A GIANT OCR BICYCLE Valued at $1500. Suggested Donation $10.00. Drawing to be held at 8:00 p.m.
AUCTION CLOSES at 8:15 pm. Please pay Ellen with cash. We will gladly hold item till payment received. ITEMS FOR SALE : PUT T-shirts, knives, water bottles, cycling shorts. A hearty Bicycle Stories congratulations to Mike and Marie on their nuptuals on Saturday afternoon. I worked with Mike at the Tampa Tribune and I wish Mike and Marie only the best. Mazel Tov.